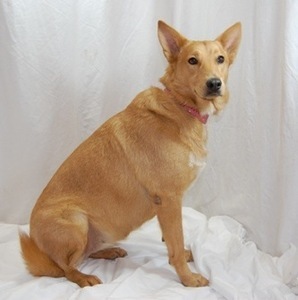 Dogtime salutes Mississippi’s CARA (Community Animal Rescue and Adoption) . Three women, Janet Madden, Jerri Bennett, and Pat Sellers were all rescuing independently in the Clinton, MS, area. They all met and became friends on their feeding routes and rescue missions . In 1999, they decided to pool their efforts and CARA (Community Animal Rescue & Adoption) was formed. Sadly, we lost Ms. Pat to illness three years ago. To rescue, rehab, and adopt as many animals to great homes as we can. We adamantly promote spay/neuter in the community. We work with rescue groups in the New England area in finding homes for our dogs and puppies . All dogs and cats are spayed/neutered before they leave CARA. Most of our animals are strays and owner surrenders. Once the animal enters the shelter, they are vaccinated , spayed/neutered, treated for wounds, heartworm , and skin problems. We then work very hard to find the perfect home for that particular pet. If an animal is never adopted, it has a home at CARA for as long as it lives. It was the worst possible place to try and catch a dog. But the one-acre grassy island was what the female dog and her companion had called home for the last year. They had somehow managed to survive, surrounded on all sides by a busy interstate, on and off ramps, and a four-lane highway. Sadly, the female dog’s companion’s luck had recently run out when he was hit and killed by a car. To make matters worse, the female dog had just had puppies under the overpass bridge. Cristy Bullock, one of the good Samaritans who had frequently put food out for the two dogs, realized the female dog’s predicament and decided that something had to be done or the puppies wouldn’t survive. She called Janet Madden at CARA on a Monday. Janet and the CARA staff immediately swung into action. Janet gathered up the five-day-old puppies in hopes of using them to lure the female dog into a trap. This was not to be. Even though the puppies were placed in the trap on a warm blanket, the female dog was way to savvy to enter. We tried baiting the trap with fried chicken, bacon, the puppies, nothing worked. This dog was just too smart to fall for it. Every morning, Janet would make sure everything was running smoothly at the shelter and then come sit for hours with the female dog, trying to win her trust. In the meantime, Cristy was bottle feeding and bringing the puppies out to spend time with their mother. This scenario went on for six days. It was now Sunday and our hopes of catching the female dog (who we had named Savvy) were fading. Then one of the shelter volunteers had a idea. We would bring out a Priefert Pen. This type of pen can be broken down and set up again easily on site. The pen was brought out, set up, and baited with a puppy and food. A long rope was tied to the door of the pen and Janet’s brother, Parker who had come to help, sat off in the grass, holding the rope and ready to slam shut the gate if Savvy went inside. If this didn’t work, nothing would. Miracle of miracles, she went inside! Parker slammed the door shut and we scrambled, flinging cell phones and grabbing the catch pole. We knew it wouldn’t take long for her to realize she could climb the side of the pen and escape. Parker got the catch pole on Savvy and we put her in a crate. She and her pups were taken to CARA where they were given a quiet corner to rest and get to know us. And on this, the seventh day, we all rested, knowing that Savvy and her pups were safe. Savvy raised her puppies who have all been placed in loving homes. She remains at CARA, living in the office area with two other dogs. Savvy retains some of her wildness and even though she hasn’t found a conventional family, she’s safe with our CARA family and has a warm bed , her heartworm treated and people who love her. She can live with us until her perfect family comes along.